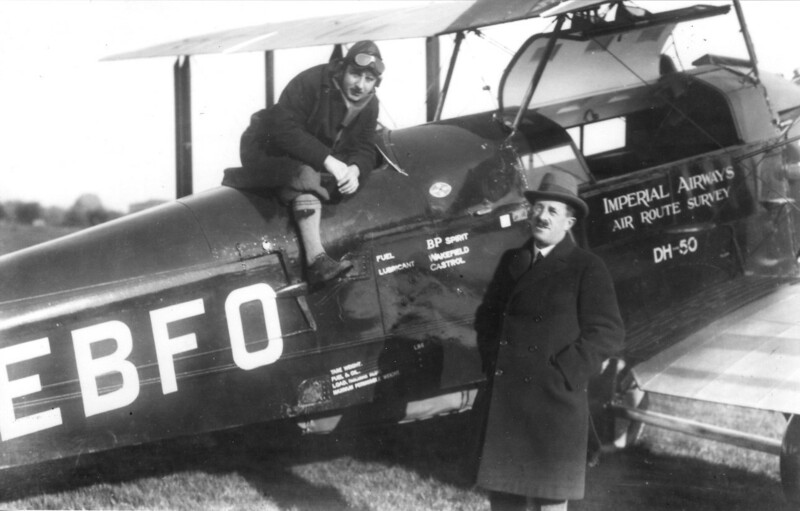 In 1925, a correspondent for the Adelaide Register took the opportunity of a lifetime – and flew on the De Havilland DH.50 airmail between South Australia and Sydney. 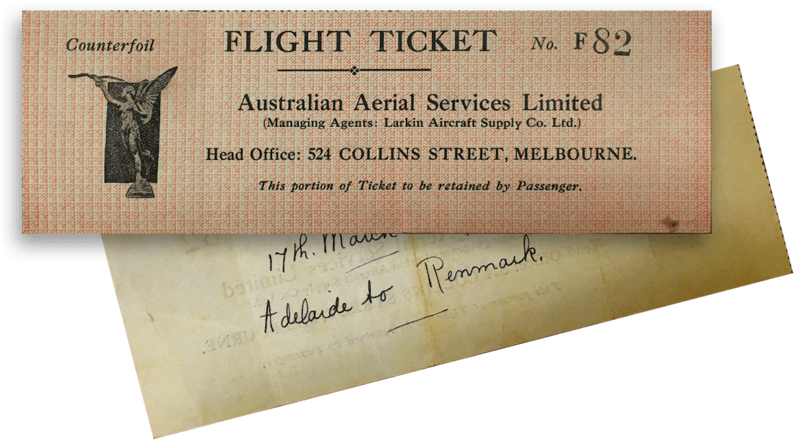 Although the aerial mail service between Adelaide and Sydney has been conducted by the Australian Aerial Services, Ltd, for a period of exactly 12 months without an accident, it has attracted but little attention from the man in the street. Sufficient for him to know that it has carried and delivered the mails with commendable regularity, but as to the why and wherefore, despite the fact that he is contributing to its support, he evinces little or no interest in it. 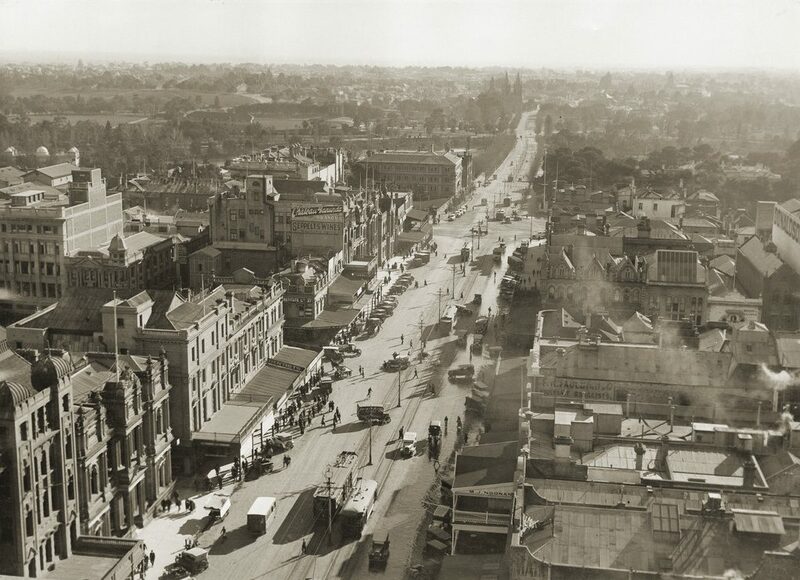 Every Saturday morning an aeroplane, carrying an air mail, has left Sydney for Adelaide, and, unless something in the way of adverse weather conditions has been experienced, those mail bags have been safely delivered in South Australia’s capital the following morning. Next morning the pilot takes his mails on board, and starts off on his long aerial journey, handing them over to the postal authorities in Sydney the next day. Occasionally he carries one or two passengers, but the desire to rise in the world, at any rate by means of a flying machine, has not yet caught on with the people of Australia, and if the service depended for its success on the number of passengers it carried it would have had to close down long ago. Fortunately the Federal Government realises that if Australia is ever attacked by a foreign enemy country it will have to depend to a large extent on its air defences, and it is therefore essential to possess an air force that can be relied upon to do its part in the event of an invasion. 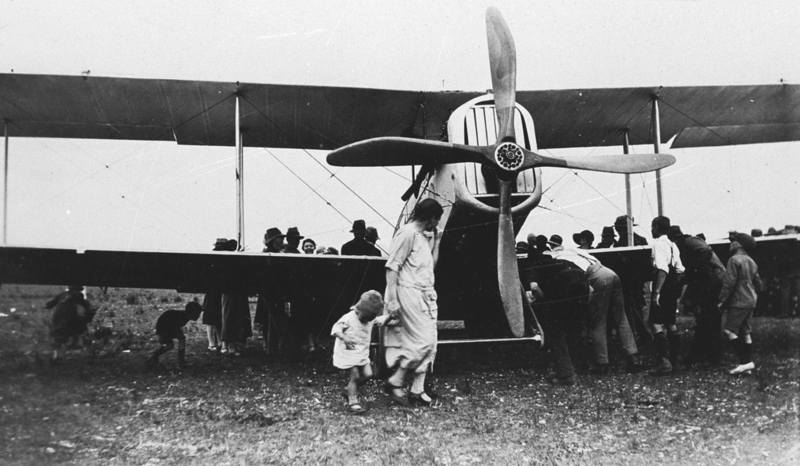 To this end it has been wisely decided to assist civil aviation as much as possible; consequently, by means of postal subsidies, civil aviation is being encouraged, and a corps of air pilots built up, who, in time, will come to know practically every mile of Australia, a knowledge that, in the event of war, would be found invaluable. 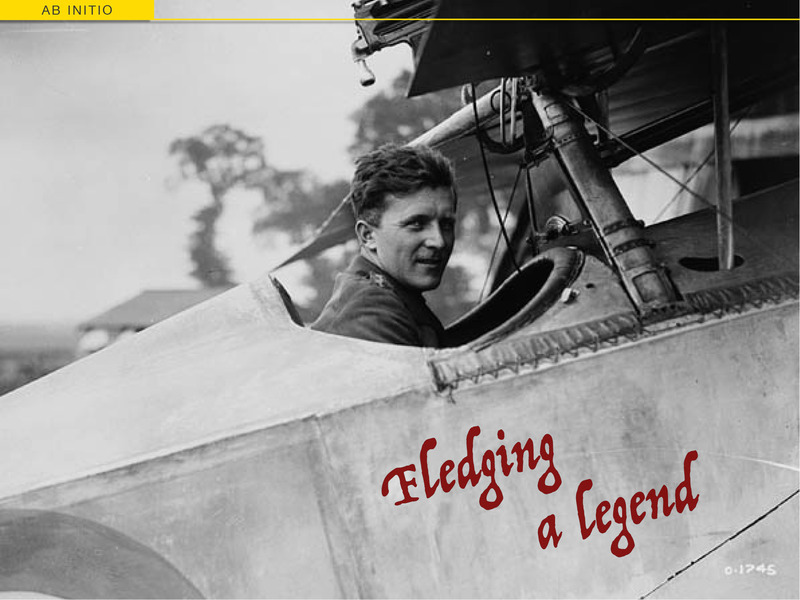 It may be mentioned that before a civil air pilot can obtain his certificate to take charge of an aeroplane he has to be sworn in as a member of the Flying Corps. Apropos of this, it is rather remarkable that out of some 2,000 Australians who were engaged in aerial work during the Great War, only about a dozen are following the same pursuit in the Commonwealth today. Most of the pilots in Australia today are Englishmen. The Editor of The Register, being alive to the importance of aerial work as regards the future of this country, instructed me to make some enquiries with a view to ascertaining what advance had so far been made in this method of transit in Australia, and suggested that I should make a trip by air to Sydney. The idea at once appealed to me, for I recognised that an ounce of practice is worth a ton of theory, and that it is only by actual experience that one is competent to express an opinion that commands respect. Through the courtesy of Messrs. M.G. 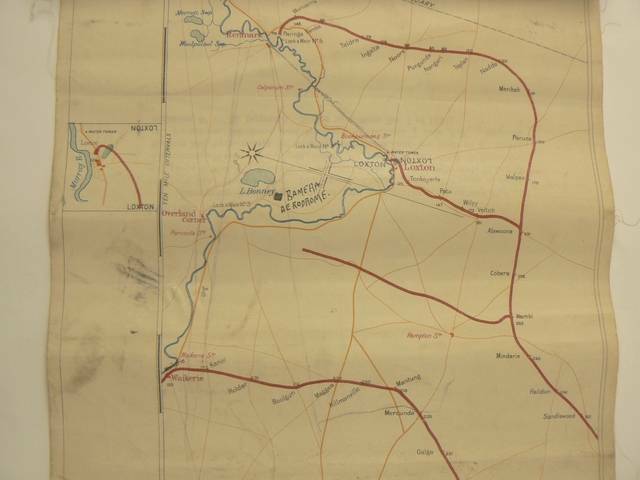 Anderson & Co of 8 King William Street, the well-known agents for the Orient Company, and the Adelaide representatives of the Australian Aerial Services, Limited, the matter was easily arranged, and I booked a passage at Woodville on Monday morning, May 25. It was lucky that I am not superstitious. Arrived at the aerodrome I found that I was to travel by the ‘Wattle Bird’, a biplane, propelled by 6-cylinder Siddley-Puma engines, of 240 h.p., which drive the propeller at 1,150 to 1,300 revolutions per minute. Capt. S.E. Sutcliffe was to be the pilot and Mr T. Hudson the mechanic. A mechanic travels with every aeroplane, and has to be a certificated engineer, holding a licence from the Air Branch of the Defence Department. Mr Hudson, on our arrival, was busily engaged over-hauling the machine, the tanks of which had been filled with petrol, first filtered through chamois leather, and it was 12.30 p.m. when we were ready to make a start. Mr Hudson then handed the pilot a certificate of safety, and after Capt. Sutcliffe had satisfied himself that everything was in order, he got inside his leather fur-lined coat, pulled on his helmet of the same material, climbed into the cockpit, adjusted his goggles to protect his eyes from the wind, and was ready for the journey. I might here mention that pilots undergo a medical examination twice a year, and hold certificates issued after test flights with conducted by the Civil Aviation Department. The cabin of the ‘Wattle Bird’ is immediately in front of the pilot, and is comfortable, roomy, and well ventilated. It is about the size of a cabin of a small motor launch. It contains three seats, each seating two persons, but the seat nearest to the propeller, which, as most people are aware, is in front of the aeroplane, is usually utilised for the storage of luggage and mails. A pipe, about four inches in diameter, runs from in front of the pilot to the cabin, so that, if necessary, he can shout through to the occupants of the cabin, and the latter pass through anything to him. The cabin is reached by means of steps on the side of the ‘plane, and when you are seated, the roof, which works on hinges, is pulled down, is pulled down and automatically closed. There are windows on either side, from which a bird’s eye view in almost every direction is obtainable, and when the visibility is good one can see a distance of 100 miles or more. I sat on the back seat, nearest to the pilot, and Mr Hudson occupied the one in front of me. There appears to be a general opinion among people who have not been up in the air that the passenger is bound to feel extremely nervous. This was not my experience. In the first place, if a trip is to be enjoyed, you must have absolute confidence in the pilot and the machine. And then I asked myself, ‘Am I going to be a Jonah and meet with the first misadventure?’ As I have never been one on the land or the sea I came to the conclusion that I was not likely to be one in the air, and my opinion proved correct. I accordingly entered the cabin without the slightest trepidation, made myself comfortable, and prepared, as Dibden sang, to ‘go aloft’. The propeller had been revolving at a high rate of speed for some minutes when Mr Hudson climbed into the cabin, lowered the roof into position, closed it, the chocks were pulled away from in front of the wheels of the undercarriage, the machine taxied at a rapid rate across the level ground of the aerodrome, and we rose like a bird into the air, flying in an easterly direction right across the Stockade. Once the machine left the ground the sensation was one of absolute security, and the whole of one’s time was occupied in gazing at the wonderful panorama passing beneath. Adelaide from the air is very beautiful. The houses look for all the world like those miniature models of villas that are so frequently to be seen in land agents’ windows. The mathematical correctness with which the streets are laid out particularly impresses one, the contour of the gulf and the waterways in the neighbourhood of Port Adelaide stand out with extraordinary distinctness, and one realises what an aid in the mapping out of the coastline the aeroplane must be. 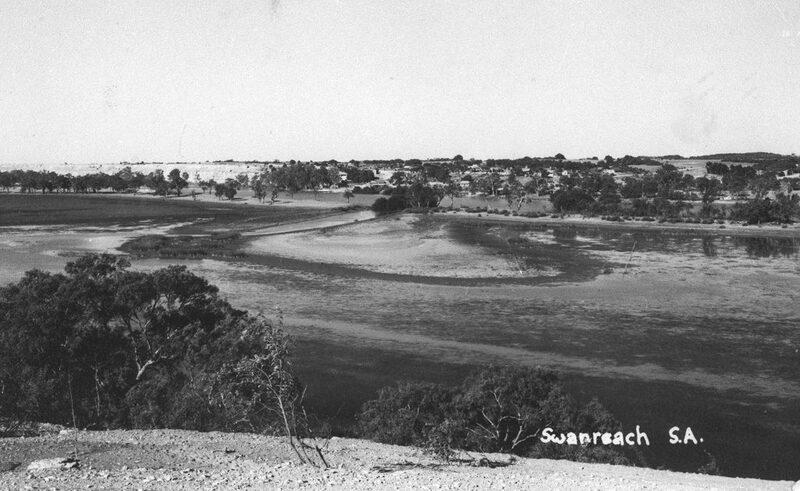 The reservoirs to the east of Adelaide shone like large ponds, and when a motor was discerned speeding below one it appeared about the size of an ordinary thimble. Having to cross the Mount Lofty range near Mount Pleasant, we took an upward course and one was impressed with the many beautiful shadow effects on hill and valley. The visibility being good, it was not necessary to rise as high in crossing the ranges as might otherwise have been the case, and it was not long before the River Murray came into view. I was surprised at the quantity of land under cultivation as we crossed the Murray flats, and a remarkable effect was frequently noticeable when passing over a ploughed field, the unploughed edges appearing to stand out in relief as compared with the tilled portion. We flew over the Murray at Swan Reach at a height of 2,000 feet, having covered 68 miles in three quarters of a hour against a head wind. Trees at this altitude looked like small bushes, and the river appeared to be 20 or 30 feet across, and could be seen for miles winding its tortuous course in the direction of Wentworth. On the further side of the Murray there are large tracts under cultivation, but we were flying at too great a height to discern the houses. Loxton was next sighted, in the distance Lake Victoria could be seen, and there was evidence on all sides of heavy rains having fallen. One was impressed with the exceedingly beautiful kaleidoscopic effects caused by the sun behind the clouds, while the variegated colours of the cultivated sections over which the machine passed appeared like so many delicate shades of velvet. At a quarter to three we alighted at Wentworth, and I was interested in seeing where the Darling joined the Murray. An artistically laid out soldiers’ settlement in the neighbourhood of Wentworth stood out very distinctly, the cultivated area presenting the appearance of a huge billiard table. Shortly after 3 o’clock we circled over Mildura, and effected a fine landing at the aerodrome, which is located a mile or two out of the town. Dark, ominous-looking clouds, varied with an occasional rain squall, decided Capt. Sutcliffe to stay the night at Mildura. He was afraid that the strong headwind which we were encountering would prevent us from reaching Hay before nightfall, and as landing in the dark is necessarily dangerous, he followed his company’s instructions, “Safety first”, and the ‘plane was made secure for the night. I had always been given to understand that when making a landing the earth had the appearance of rising up to strike the machine, but this was not my experience. The pilot circled round two or three times, and I am bound to confess that the ‘banking’ was not a particularly pleasant procedure, but when you recognise that the pilot thoroughly understands his work a novice in flying does not feel that alarm which might otherwise be caused. We stayed at the Mildura Hotel, an excellent hostelry, with a dining room larger than that of any hotel in Adelaide, with the exception of the South Australian. During the evening I ran across Mr D.C. Winterbottom, a brother of Mr H.E. WInterbottom, secretary of the Chamber of Manufactures. He was formerly outdoor superintendent for the Wheat Board and is now Manager of the Mildura Co-operative Fruit Company, the biggest concern of the kind in Victoria, I was informed. Mildura possesses some fine shops and an unusually large number of restaurants, but strange to say, none of the latter appeared to be doing any business. It rained heavily all night, and next morning when we rose it was cold and raw, and rain was still falling. We motored out to the aerodrome, through roads that were inches deep in mud. The motor driver was a reckless creature, and how we escaped a capsize was marvellous. As our mechanic said to me, “People talk about the danger of an air trip, but it’s nothing to this.” I agreed with him. 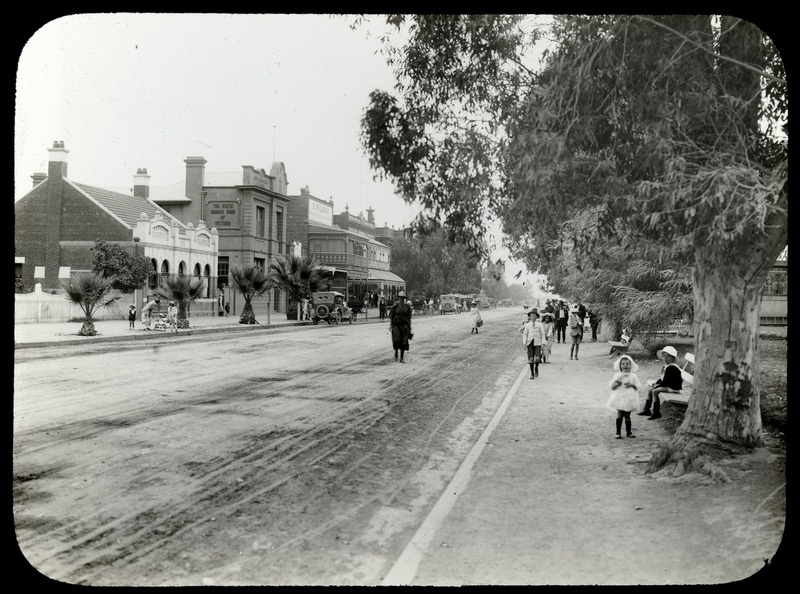 The danger of crossing King William Street, at a busy period of the day, is infinitely greater than a trip by air to Mildura. As the clouds were low and dark, and the rain continued to pour down steadily, we decided to return to the hotel, fortify ourselves with a good breakfast, and await a break in the weather. It was half-past 12 o’clock before we were able to make a start, and the weather was still very boisterous. Hay was to be our next stopping place, and had the weather been propitious we should have reached it the previous afternoon. At the start the trip was very ‘bumpy’, and every now and again we struck an air pocket. The effect of this is to cause the ‘plane to drop several feet, vertically, and the sensation until one gets used to it, is not altogether a pleasant one. You instinctively grip the seat in front of you, but after a time it ceases to cause any further alarm. In Part Two our intrepid traveller completes the trip to the Australian Aerial Services base at Hay, NSW; continues over the nascent Riverina region to Cootamundra; then crosses The Great Dividing Range to Sydney. Thanks Hannah, I’m glad you’re enjoying it. There are two more parts to come and hopefully I can keep finding suitable images. The photo from Swan Reach is a real charmer, isn’t it? I’ll be looking forward to the other two parts! A very enjoyable piece of travel writing and commentary, with excellent photographs. The DH50 featured has a four bladed prop. Was this always the case with the DH50? 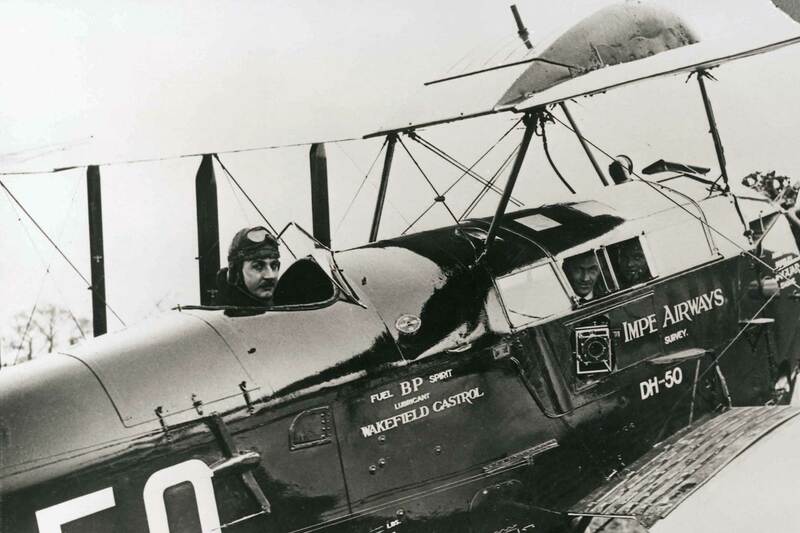 As you probably know, Qantas manufactured them on licence from De Havilland in the early 1920s and Rev. John Flynn’s first Aerial Ambulance was a Qantas DH50, although, I believe it was not locally built. A sturdy machine for its time, with a slower approach speed than its predecessor, the DH9, which crashed at Tambo with the loss of a passenger and pilot. Hi Russell. Thanks for reading. I think you’re right that the DH.50 was flown with various propellers. I’m not an expert, but it looks to me as though the De Havilland- and Qantas-built airframes were fitted with two-bladed props, while those assembled by LASCO (Larkin Aircraft Supply Co, Australian Aerial Services’ parent) were fitted with four-bladed units. Incredibly, there doesn’t seem to be any relationship between the number of blades and the power of the engine – from 240hp Puma right through to the 450hp Jupiter. I can only guess that LASCO had four-bladed props in store and decided to use them. New props would have been expensive, even then. 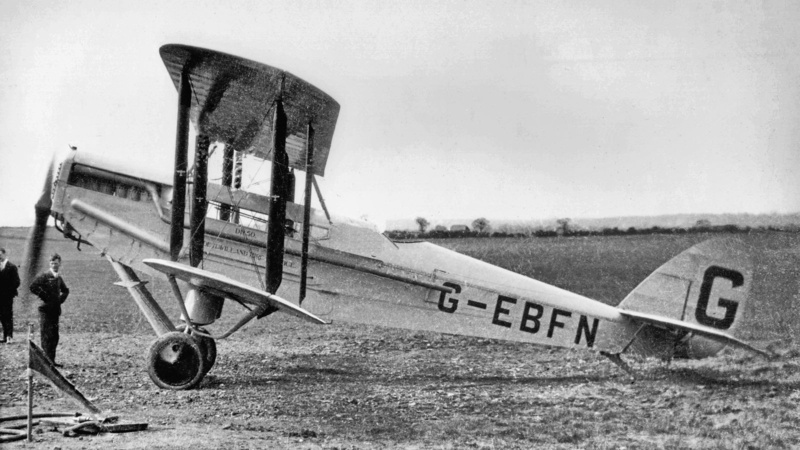 Being purpose built, DH.50s were probably safer than the ex-War DH.9s. The one that crashed at Tambo was pretty old by the time of its accident in 1927 (very old by the standard of the times) but a stall-spin on approach is inevitably box-standard pilot error and can’t really be blamed on the aircraft’s age, design or flight characteristics. 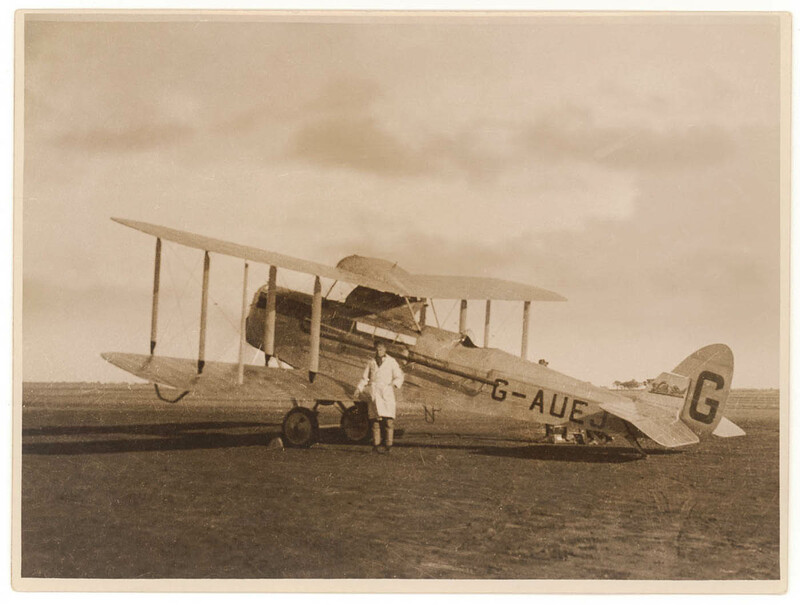 Regardless, the DH.50 certainly was an important and dependable part of early Australian civil aviation. It obviously had essential range and reliability; they were also used by the Dept of Civil Aviation, Norman Brealey’s West Australian Airlines and the RAAF. So – pretty much everyone! Very interesting account, it really gives an insight into early flights. The opening canopies particularly caught my eye, isn’t this relatively new at this point in time? Or have hinged canopies been around for longer than I thought! From what I’ve seen, the DH.50 did sport one of the earliest hinged canopies, although I’m not sure it was yet another Geoffrey De Havilland innovation. For example the Bristol Tourer, which was a two seater built from the Bristol F.2b Fighter, had a hinged canopy over the passenger ‘compartment’ (i.e. two seats in the gunner’s position). Converted Airco/DH.9s had a hinged canopy too. They were still probably an innovation of the time, although I’m sure hinged canopies had been around in other forms of transport, possibly horse-drawn ones, before the 1920s. That’s very interesting to know. Perhaps it was taken from another form of transport, it would certainly make sense, utilising a feature from elsewhere. Thanks again! One is immediately struck by the writer’s florid literary style, so typical of the time of course, but it does lend a rather ephemeral quality to the piece, I fancy! So he didn’t like banking then!!! Landlubber! Great post, David! Looking forward to the rest. I did think about editing the ‘florid’ style (‘convoluted’ was the word I thought of) but in the end I agreed with you, that it is very reflective of the time and helps to make the piece more immersive somehow. You’ll see over the next two parts that his initial reactions to flying evolve and by the third day he’s really starting to identify with his travelling companions (who are all with the airline, remember) and with flying generally. It’s kind of Chaucer-like how the shared time and experience binds him to the other players in this modern ‘Canterbury Tale’. A fine analogy! Can’t wait to see how his pilgrimage pans out actually! What a pleasure to again experience, even vicariously, pure pioneering flight! Indeed. And thank goodness for airmail. I wonder what would have happened to aviation without it. The Mails were always of paramount importance to any developing form of transport back then. The airmails were to aviation exactly what the Transatlantic Mails and Far Eastern Mails were to the steamship companies before of course. Now we have emails! Good point. It’s all about communication and commerce isn’t it? And speed, always more speed.